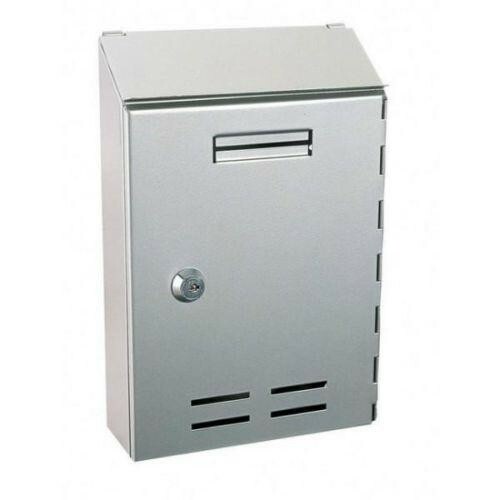 The Pro First 500 Indoor Silver is a very popular but small post box, it is also ideal to be used in flats or apartment complexes. Four different colours are available in this range, all are made from high quality steel with two keys supplied. Pro First 500 Silver Small Indoor Mailbox. Mail can be retrieved via large door. Also available in Green, Black and White.